Awe inspiring hoodoos soar beyond the heights of native Ponderosa Pine which can grow over 190'. Rich earth tone colors are seen here among the varied hoodoos, walls and fins of Bryce Canyon. 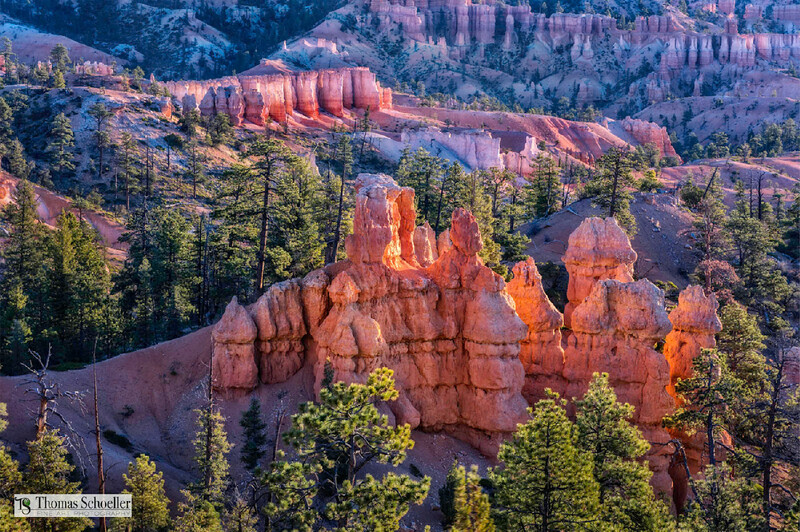 Hoodoos are more abundant in this National Park than any other place on our planet.